Heads up, Pony people! 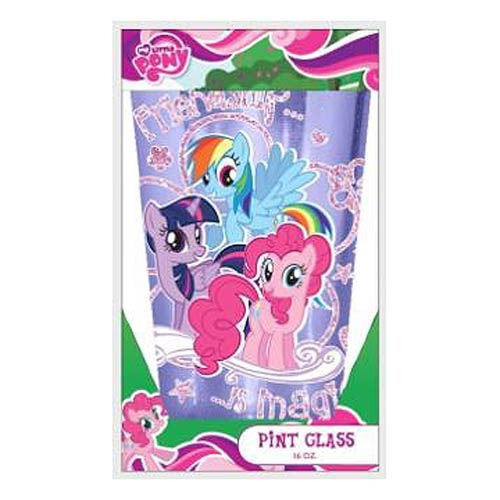 Fan favorites from the wonderful world of My Little Pony adorn this colorful My Little Pony: Friendship is Magic Group 16 oz. Pint Glass. Hand wash only. Not dishwasher safe. Do not microwave.